Unique Maps Illustrate Over a Billion Acres of Forests Across the United States « Adafruit Industries – Makers, hackers, artists, designers and engineers! 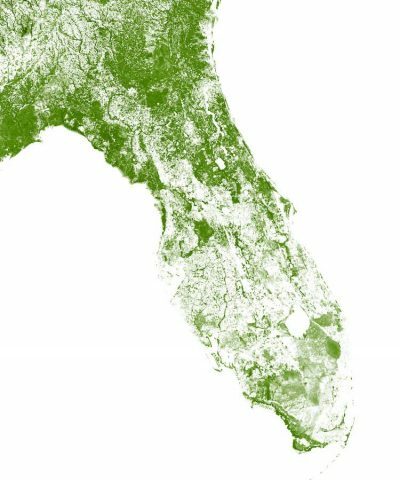 Cartography experts EarthArtAustralia specializes in creating “ultra-detailed maps of Earth from Space.” And after tackling the roads and rivers of the United States, they’ve just released a stunning map of the country using its forests. Over a billion acres of trees and forests, pulled together with imagery from the Landsat satellite, come together to present an interesting view of America. 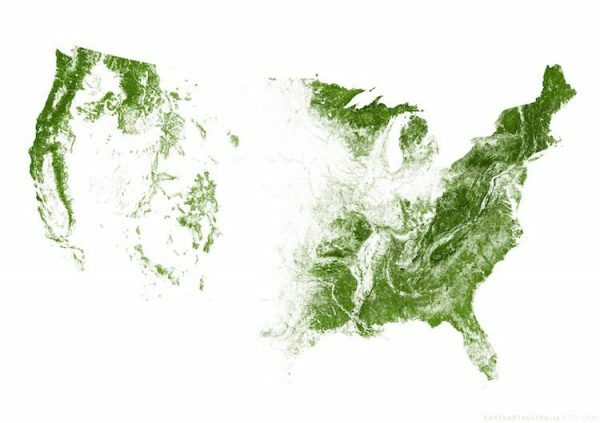 A detailed look at different portions of the United States shows the vegetation as a velvety green layer creeping through sections of the country. The company used images from the spring growing season to highlight the vibrant and vital forests throughout the map. But how were they able to weed out other plants from the satellite images to be sure we’re only looking at trees? It’s all about wavelengths.